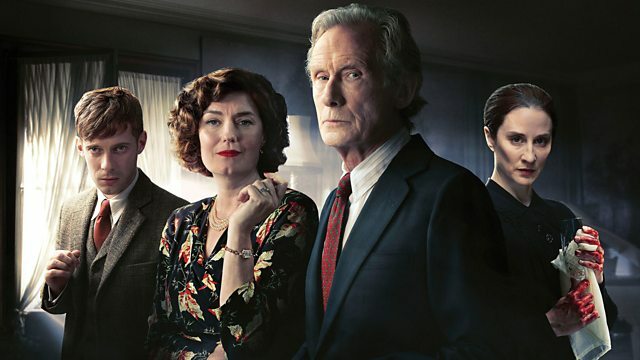 I’m thrilled Ordeal by Innocence—based on the book by Agatha Christie—is making its debut tonight on the BBC for all our friends in the British Isles. Why? Do I have some sort of technical doohickey capability that allows me to hack in on the BBC and see the show from my Southern California digs? No, I don’t, but the sooner the Brits have seen it on the Beeb, the sooner Amazon—who has the U.S. streaming rights—will let us have at it. That’s how I see it, anyway. In the meantime, I’m looking forward to seeing how the twitterverse responds and enjoying the trailer and a couple of clips from the show. Ordeal by Innocence stars Matthew Goode, Bill Nighy, Morven Christie, Eleanor Tomlinson, Ella Purnell, Luke Treadaway, Anthony Boyle, Anna Chancellor, Crystal Clarke and Christian Cooke. Are my Agatha Christie fans planning on watching?